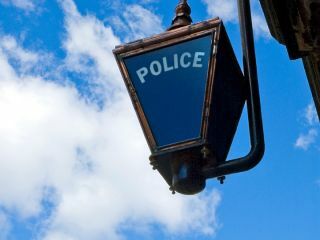 The amount of police in the UK to be issued with smartphones is set to increase in the coming months, with the The National Policing Improvement Agency announcing that decent handsets will speed up their jobs. Currently, there are around 30 forces in the UK who are already issuing officers with smartphones but this is to increase dramatically due to how helpful the devices are. The phones allow police officers to receive important documents whilst on the move. The NPIA has said that up to 30 minutes of paperwork time can be shed by carrying a decent mobile phone. It also means that police can take vital images of crime scenes and send them back to base quicker, which also aids in catching those pesky criminals. The BBC spoke to Graham Baker from RIM, who make the BlackBerry range, about the news who said that the handsets' use of GPS could be vital in crime prevention, explaining: "It could [bring] information on lost or missing people, or particular crimes that have been reported in that locality." The NPIA hopes that most police officers will be issued with the phones by March 2010.